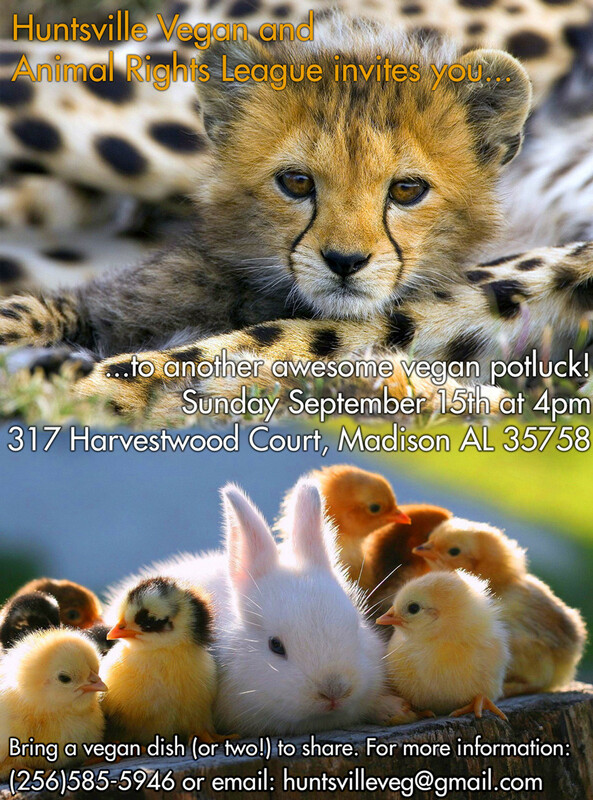 Huntsville Vegan and Animal Rights League is having its September potluck at Jamie’s house in Madison [317 Harvestwood Court, Madison AL 35758]! Bring a dish or two, no particular theme– whatever you think would be enjoyable. Look for signs on the street and a balloon or two on the mailbox! Just a quick note people. We have a new rule enforced in the neighborhood…City has posted DO NOT PARK AT ANY TIME signs on the south bound side of the road leading into the park. You MAY NOT park across the street any longer. The police routinely visit the neighborhood on Saturdays and Sundays and are writing tickets for those parked on that side of the street. I will park my car in the garage. There is room for at least 4 cars if the first two park as close to the garage door as possible, leaving room for two behind. There is a least room for three vehicles in front of my home on the side walk. If more of you decide to come, we will have to have you park in a space at the park and walk up. Its not a bad walk…the park is only about 7 houses down from my house. I know its a pain…but they did this because emergency responders couldn’t make a quick call to a house down the street without getting stuck in a dodge car game. 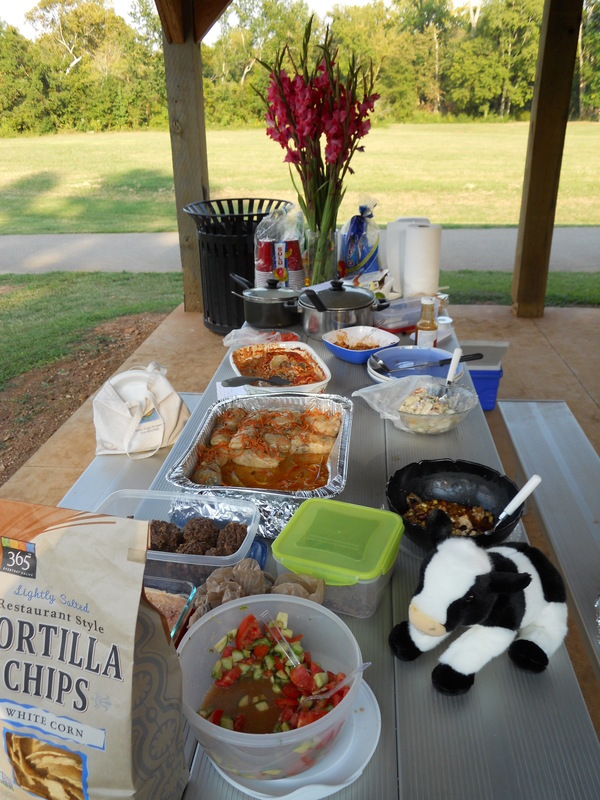 NOTE: Please prepare your food before coming to the potluck! If you need to heat up dishes, that’s totally cool. But *please* do your cooking before coming out. Thanks everyone! Please bring your recipe or an ingredient list with your dish. We’ll have some utensils handy, just in case. Bring a musical instrument and we’ll have a rhythm jam (we mean it)! Organizer Mike and others will bring guitars and other instruments. Please get in on the jam. We’ll bring a turkish hand-drum. Bring some others! Dogs (or any other non-human animal) are welcome, kids are welcome. 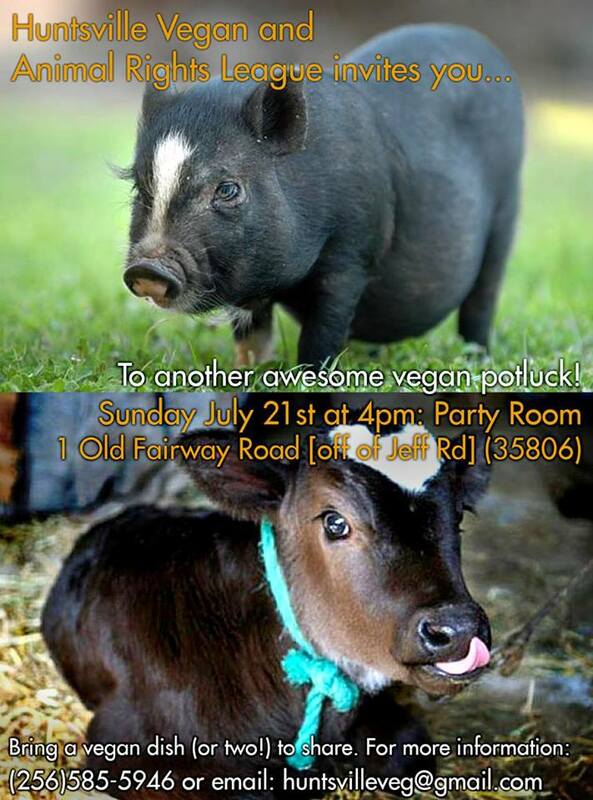 If you have any questions about the potluck, or want to bring something but don’t know the first thing about vegan cooking, please email us at huntsvilleveg@gmail.com. Message Mike at (256)585-5946 if you need help. We look forward to meeting all of you!